Thread: new wheels and tires. Hi all. I know I don't post much on here, I'm more of a lurker. I did post when I first got my car, trying to figure out what type of wheels were on it, never did figure it out. 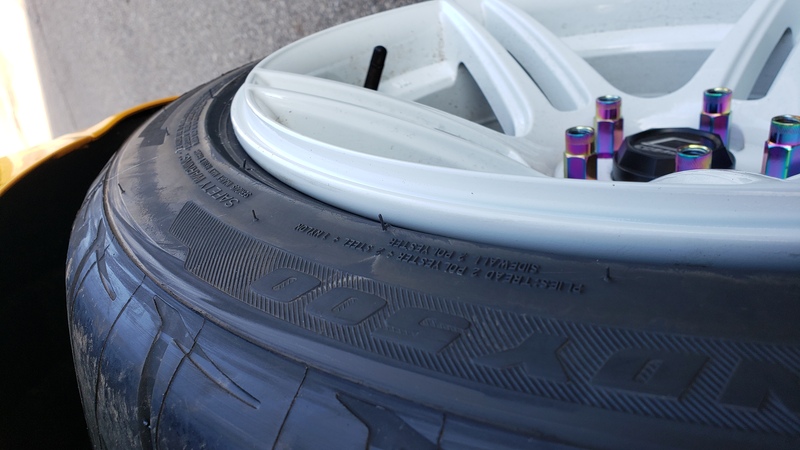 So I went ahead and ordered a set of Cosmis Racing S5R in white 17x9 ET22, with Firestone Firehawk Indy 500 tires in 235/45/17, and I'm going to be attempting to fit them without doing a widebody, but by stretching the stock metal of the fenders/quarter panels. Before you say it can't be done, a little background about myself. I am the Fixed Operations Manager of a service center/body shop, I broke into the body shop industry over 20 years ago and cut my teeth on restoring/modifying 60's and 70's muscle cars. Jumped into the sport compact scene in 1999 with a Chevy Cavalier, then moved to a Dodge Neon that started as a SOHC car and ended with just shy of 500whp on a fully built DOHC motor. Had an Acura RSX type S for a bit, then bought my ST little over 6 months ago. 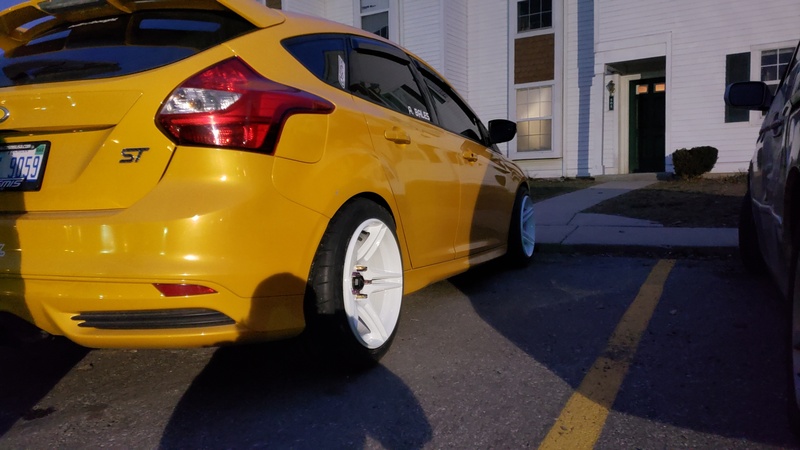 I am waiting on the rims to arrive, they are being redrilled for 5x108, as soon as I get them I will start posting pics and what needs to be done to get these to fit. Seems interesting! Looking forward to pictures of the process! After waiting three weeks, they finally arrived. 17x9 et22 Cosmis S5R with 235/45/17 Firestone Firehawk Indy 500, haven't stretched the quarters or fenders, first pic is rear from above showing the poke (about 3mm more than I wanted), and then a rear 3/4 pic. Aodhan open end steel lugs in neo chrome. Decided to go with 17 and more tire since I live in Michigan, and our roads are utter crap. I like the look. However, the rim is showing too much. Here is a good close up of the outer lip design. There is a slight stretch to the tire, but it's definitely nothing crazy. 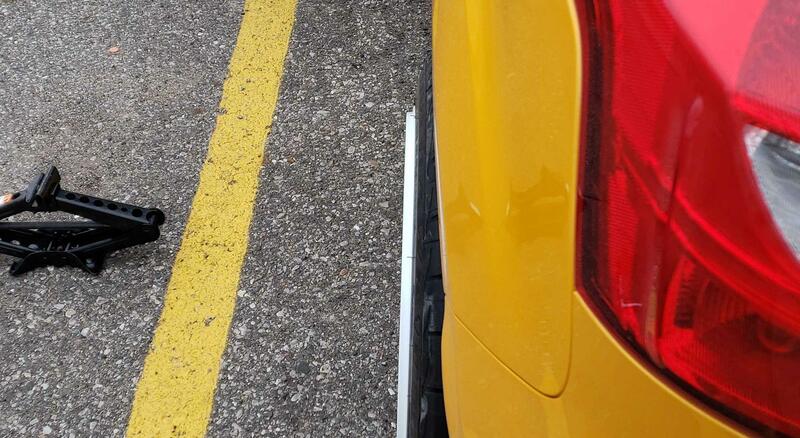 Even when I end up doing flares and running 255/40 tires, there will still be that very outer lip that pokes on them.